The different modules are configured to offer the exact set of features you require. 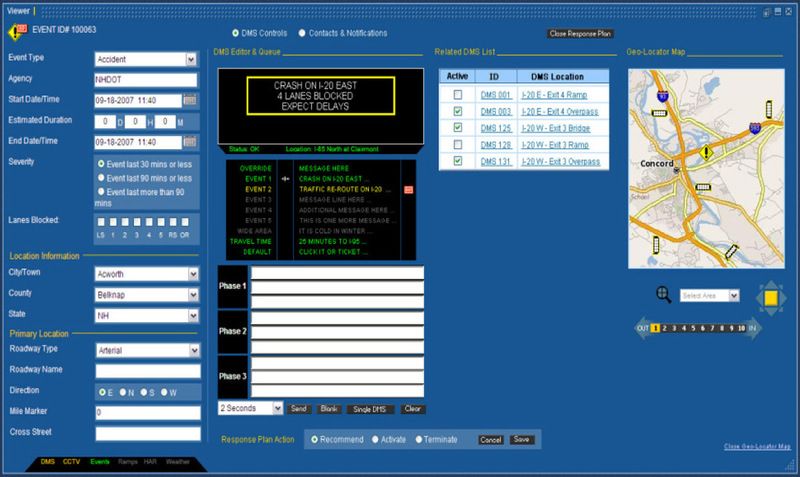 True, web based application using a standard PC browser from any location with web or local network access. Intelligent NETworks operates within an inexpensive PC environment. There are no desktop COTS or software licenses required, resulting in a low up-front deployment cost. Follows open industry standards, architecture, design standards, and is designed to operate at 99.9% uptime. Intelligent NETworks® is a state-of-the-art ATMS designed to collect, disseminate, and manage transportation information. Built with scalable architecture, Intelligent NETworks is an adaptable solution for small and large scale deployments. Customers build their customized systems by using our core modules. In turn, the system is then sized and priced based the specific feature set of these modules and the level of customization (if any) that may be required. Interested in learning more? Use the form on the right to get in touch. Also, feel free to call Delcan Technologies directly at 770-831-3370. Intelligent NETworks is designed with 26 different modules that control different aspects of the traffic system. With this flexible architecture you can choose the features your bid requires and only pay for the elements you need. Click on the icons below to explore the different modules within Intelligent NETworks. 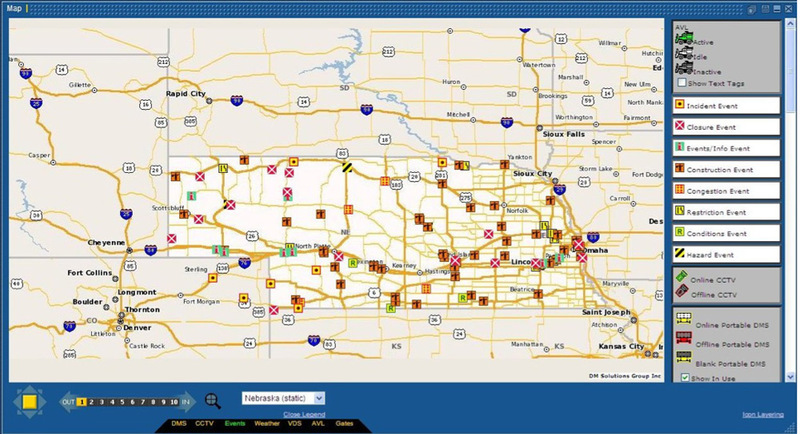 Through an easy to understand rules-based guidebook, Traffic Management Control (TMC) center will be able to configure the TMC Core Software to automatically recommend and respond to a variety of tunnel management and incident issues. Decision support recommendations/responses include suggested operator actions, recommendations of Variable Message Signs (VMS) including Variable Speed Limit Signs (VSLS), Lane Control Signs (LCS) and Regulatory Signs on what information to display and which sign locations should be used, adjustments to ramp metering rates, traffic signal timing plan adjustments as well as electronic agency staff notifications via e-mail, pager, SMS text, and phone. Can operate on single inexpensive PC environment, no desktop COTS or software licenses required. Low up front deployment costs. 16 functional modules that can be installed one at a time, piecemeal or all at once. Intelligent NETworks® is built on the NTCIP standards from the ground up. It clearly envisages a migration from the proprietary systems of years gone by, towards an environment where system expansion on the basis of standards based procurement results in lower cost, lower risk, faster deployment. Intelligent NETworks® is designed to be easily integrated into existing proprietary systems. This makes it easy to integrate to the tunnels fire management, ventilation, lighting, UPS and alarm monitoring system. Interested in learning more about Intelligent NETworks? Use the form on the right to contact us for more information. A member of our Intelligent NETworks team will reach out to get the details about your project. If you're still exploring the software we would also be happy to answer any questions you may have.